It seems like a magic trick: take a cheap, tough cut of beef, like a top round roast or a chuck roast, cook it for twenty-four hours without peeking, and Abracadabra! Now it’s suddenly filet mignon. But it’s not magic — this is sous vide cooking! This is where you can really see how temperature and time both play pivotal roles in cooking food sous vide. I tested this roast at 140-degrees F (medium doneness) for 16 hours, 18 hours, and 24 hours. The doneness was the same for all three batches — they were all a perfect, rosy-pink inside — but the tenderness was remarkably different. At 16 hours, the roast was cooked, but a little on the chewy side. At 18 hours, it cut easily and was notably less chewy. At the 24-hour mark, it was so tender that you could cut it with a fork, but yet still had enough texture that you knew you were eating steak. This ain’t no baby food. I would happily serve this recipe anywhere from 18 hours to 24 hours of cooking. I didn’t try cooking it for longer, but I imagine the upper limit on the cooking window would be around 30 hours. You can also make the roast ahead and warm it up whenever you want to serve it. This makes the recipe even more flexible for your schedule. Double-searing is a technique that I picked up early on in my sous vide experiments. The idea is to sear the meat once before it goes into the sous vide bath and then again when it comes out. The first sear adds incredible flavor to the finished roast — the meat will be cooking in all those roasty, caramelized juices for a few hours, after all. The second sear is for that crispy, crusty texture on the outside. The difference in both flavor and texture with this double-sear technique is astounding and well worth trying! Once you’ve got your top round roast cooked and ready, the rest is a snap! Slice the meat as thinly as you can, working across the grain. Pile it on toasted French rolls and top with sliced cheese. Run it under the broiler for a few minutes and you’re ready to eat. Make a whole sheet pan at once and serve them all at once! Look for top or bottom round roast for this recipe since these cuts are less fatty and easier to cut into thin slices. Use chuck roast if round roast can't be found and cut thicker slices. The roast from this recipe is also fantastic for lunch sandwiches, tacos, salads, and any other recipe calling for tender slices of steak or beef. Instead of doing the second sear on the stovetop, try grilling it! This gives the meat a nice smoky flavor. Make-ahead instructions: Cook the roast as per the recipe through the end of the sous vide cook time. Lift the roast from the water and transfer it to a bowl of cold water to cool it down. Once cooled, refrigerate until ready to serve. Re-warm in a 140F sous vide bath for an hour or so, then continue with searing the roast and assembling the sandwiches. If you don't have a sous vide immersion circulator: Cook the roast either in a Dutch oven (or heavy, covered pot) in the oven at 325° F for 3 to 4 hours, or in a slow cooker for 6 to 8 hours. 1 Calculate your cooking time: This roast cooks sous vide for 18 to 24 hours, so it's important to begin cooking with your serving time in mind. Calculate backward from your dinner time to figure out when you should start cooking the roast. For make-ahead instructions if you don't plan on serving your sandwiches right away, see the instructions in the headnotes. 2 Trim and season the roast: Trim any large pieces of fat from the exterior of the roast, but don't worry about getting every last speck. Season it on all sides with the salt and pepper. 3 Sear the roast: Warm a large skillet over medium-high heat and add 1 tablespoon of oil. When the oil shimmers and glides smoothly, and a flick of water evaporates on contact with the pan, add the roast. Sear the roast very well on all sides, 4 to 5 minutes per side. The seared surfaces should look dark reddish-brown. If the oil starts to get smoky, lower the heat slightly; otherwise, maintain a medium-high heat for the best sear. 4 Transfer the seared beef to a plate to cool slightly. If the roast is still scorching hot from the pan when you put it in the plastic bag, it can melt a hole in the plastic. 5 Deglaze the pan with the wine: With the pan still over medium-high heat, add the wine all at once. It will bubble and steam as it hits the pan. As it bubbles, use a stiff spatula to scrape up any dark bits that were stuck. Once you've scraped up all the bits and the wine is simmering, pour it carefully into a measuring cup. Let it cool slightly. 6 Pack up the roast for sous vide cooking: Place a 1-gallon plastic freezer bag on your counter and fold the top outwards to form a cuff; this will help it stand up and make it easier to fill. (Alternatively, place the bag in a bowl while filling). Place the slightly cooled roast into the bag. Pour the wine and broth over top, and tuck the bay leaf inside. 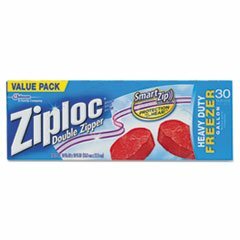 Zip the bag almost entirely shut, leaving about an inch open at one edge. 7 Seal the bag: Fill a large stock pot three-quarters full with water. Submerge the bag with the roast until just the zipper part of the bag is above the water. As you submerge the bag, the pressure of the water will press the sides of the plastic bag up against the roast and the liquid, "hugging" the ingredients. You may need to use your hands or a spatula to poke the roast below the surface of the water and force out any bubbles. Once all the air bubble are out, submerge the bag up to the zipper, then zip it all the way closed so the bag is sealed. Lift the roast from the water and place it on a dishtowel while you heat the water. As you lift the bag, the plastic should look like it's hugging the ingredients inside the bag. A few small air pockets are fine; vacuum-sealing isn't necessary. Check carefully to make sure the bag isn't leaking; if it is, transfer it to a new bag and repeat this sealing step. 8 Heat the water with the immersion circulator: Place the pot of water on a trivet or other heatproof surface. Place the immersion circulator in the water and set it to heat the water based on your preferred doneness for the roast beef: 135°F (medium-rare), 140°F (medium), 145°F (medium-well) or 150°F (well-done). It will take approximately 5 to 10 minutes for the water to heat, depending on the volume of water in your pot. (You can also use warm water out of the tap to cut down on heating time.) Once the water is up to temp, your immersion circulator will indicate that you're ready to start cooking. With Joule, this is controlled through the Joule app: Open the app on your phone and press the orange circular button in the bottom right corner. Input the temperature and press the orange button again to start the device and begin heating the water. 9 Cook the roast: Once the water has finished heating, lower the roast into the water. It's fine if the zipper is above the surface of the water, but the roast itself should be completely submerged by at least an inch or so. Add more water if needed. Cook the roast for 18 to 24 hours (yes, hours!). It will become more tender the longer you let it cook. Set a timer so you know when it's ready. Keep an eye on the water level and add additional water if it looks like it's getting low. The immersion circulator will heat the water right back up to temperature. To help prevent evaporation, you can also cover your pot with plastic wrap, a silicon bowl cover (as I have), or any other cover. 11 Cook the onions at any point while the roast is cooking: At any point during this cooking time when you have a spare 10 minutes, cook the onions. Warm a teaspoon or two of oil in a skillet and cook the onions with 1/4 teaspoon salt until they are very soft and browned. If you're not serving them right away, cool and refrigerate until needed. To reheat, add them to a hot skillet and stir until warmed through. 12 Sear the roast (again! ): When you're done cooking the roast, lift the bag from the water and set it on a kitchen towel on the counter. Warm a tablespoon of oil in a large skillet over medium-high heat. Open the bag with the roast; be careful not to spill any of the cooking liquid. Use tongs to lift the roast from the bag and transfer it to a cutting board. Pat it dry on all sides. Transfer the roast to the hot skillet and sear on all sides, 2 to 3 minutes per side, until the outside is very crusty. Add more oil as needed to the pan. Once seared, set the roast on a cutting board until ready to slice. 13 Strain the "jus": While the roast sears, strain the cooking liquid ("jus") into a measuring cup. Taste and add salt or pepper if needed. If the jus seems overly concentrated to you, add a little water to thin it out again. Use a little of the jus to deglaze the pan after searing the roast, if you like. Transfer the jus to individual cups for serving. 14 Toast the French rolls: Warm the oven to 400F. Open up all the French rolls and arrange them in a single layer on a baking sheet with the cut sides facing up. Toast in the hot oven until they are warm and feel crispy when you press the surface of the bread, about 5 minutes. Remove from the oven, but leave the oven on. If you like, spoon a little of the beef jus over the bottom buns for flavor. 15 Slice the beef: Use a sharp chef's knife and slice the beef against the grain as thinly as possible. 16 Assemble the sandwiches: Pile slices of beef on the bottom half of the rolls. The meat should divide equally between all the rolls, but you may have some leftover. Top each pile of beef with some onions and a slice or two of cheese, if desired. 17 Broil the sandwiches: Set aside the tops of the buns so they don't burn. Switch the oven to "broil" and slide the pan of sandwiches under the broiler. Broil until the cheese starts to melt, about 1 minute. Hello! All photos and content are copyright protected. Please do not use our photos without prior written permission. If you wish to republish this recipe, please rewrite the recipe in your own unique words and link back to Sous Vide French Dip Sandwiches on Simply Recipes. Thank you! This is the first time I used sous vide. I bought the Anova about a year ago and never used it. It seemed too complicated. But my daughter-in-law shared this recipe with me saying that it’s the best ever. So I pulled out that Anova and whipped up a batch. Oh my, the meat is so tender and flavorful. I will definitely be making these again and looking at other recipes now that I’m not intimidated by sous vide! My old version of a French dip has been removed from my list and replaced with this one. If you haven’t tried this recipe, you must do so. Followed your guidance, and the result was exemplary. Usually, I’m apprehensive in trying internet recipes, especially attempting for the first time, for guests. It was a hit, and i’ll cataloge for repeat suppers. Plan well…and you’ll be hearing ….” can I have some more”! Spot on recipe. Made this for dinner tonight and it was phenomenal. Can you make it and then freeze, thaw, reheat and sear? Hi, Jay! Yes, that should work! I’d recommend reheating it sous vide for about an hour to avoid drying it out, and then searing and slicing. Enjoy! Can you cook the roast in a slow cooker? Hi, Olga! Sure, this would be great in the slow cooker. I actually did a slow cooker version a few years ago for another site. You can find it here. Enjoy! Absolutely intriguing! Last I saw this method used was in a cook off with a chef and a scientist who used a water bath! Being pregnant my brain is going crazy over bacterial concerns. But I have read through your comments and do understand the level of pasteurization that you speak of. I am just absolutely flabbergasted that this technology is available! Is it the first of its kind?! Is there other options? Why would this product be the best choice? Sheesh so much researching to do! Thank you for your article! Hi, Becky! It’s exciting, right?! Sous vide cooking and immersion circulators have been around for a few years now, but mostly used in restaurant cooking. It’s just been in the last few years that this kind of device has really been affordable and available for home cooks. I like the Joule from ChefSteps because it’s pretty slender and I can easily store it in a drawer, plus it works with the pots I already have. But I also have friends who use and love the Anova and the Nomiku! Definitely do your research, but I think you can’t go wrong with a top brand. Enjoy! I just bought one and haven’t tried it yet. I am planning on taking it in my RV as well as using it at home. Love the idea of sight seeing all day, coming back and dinner is ready! I don’t have a Smart Phone and can’t afford one. Does this mean I can’t use the Joule or any immersion device? I would hate to spend that much money (as apposed to an affordable slow cooker) and then find it useless. Hi, Grace! Unfortunately, yes, the Joule requires a smartphone. 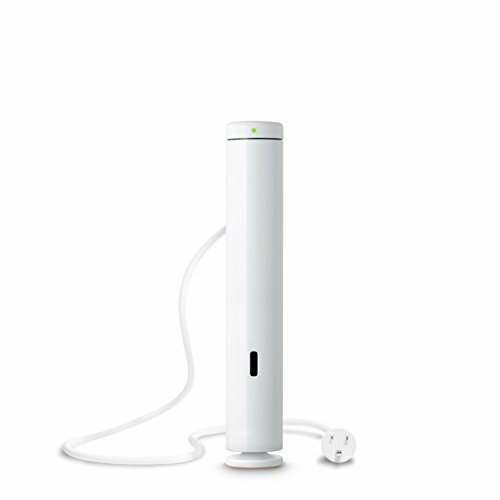 See here: https://support.chefsteps.com/hc/en-us/articles/214090968-Can-I-use-Joule-without-a-smartphone-or-tablet-. However, there are other immersion circulators on the market that don’t require smartphones. Gourmia makes sous vide water bath that works similar to a crockpot. It does not require a smart phone and is available on Amazon.com for a very reasonable price. Cheers! 1. The recipe that, for me, shows sous vide to the greatest advantage is chicken salad. The reason is that sous vide chicken lets you cook the chicken (safely!) to an impossibly low 142 degree finish temperature. You have to look at the time/temperature safety chart to realize that 165 degrees (the usual recommended chicken “done” temp) is designed to kill all the bacteria within seconds. At 142, it takes about eighteen minutes. However, when cooked to 142, the chicken is not only perfectly safe, it is an amazingly different dish, with juiciness you’ve never experienced before, and a texture that is totally devoid of any stringiness or toughness. When put into a chicken salad, the result is infinitely better for that dish than any other preparation and cooking method. 2. My second point is that a lot of the comments about safety posted here don’t seem to understand that because the food is in “contact” (via the thin plastic bag) with circulating water, which is an amazing conductor of heat, the temperature of the food increases very rapidly to the temperature of the water, and therefore does not stay in the “danger zone” for long enough to be a problem. I have been sous-vide cooking for about 5 weeks, and I am in love with it! I started with cap steak and my husband said it was the best steak he had ever eaten! I upped the anti a little by buying some cheap beef which I cut into portions so I could sear it really well and make a great pan sauce. I adore salmon but have read mixed reviews. After reading your review of salmon I can’t wait to try it! Husband doesn’t like salmon, but I can fix it when he is out of town or working late!!! More sous-vide recipes please! I also got a couple of good cookbooks which help too. Awesome, Ann! I’m loving experimenting with sous vide cooking, too (obviously!). I can’t wait to do more recipes! I am concerned about the temps. that you cook at.I don’t have to tell you that bacteria grows between 40 F, to 140F.In this type of cooking at these low temps, do you see a problem? I’ve been so curious about trying sous vide for months now (I’ve come really close to purchasing an immersion circulator several times!). When we had Thanksgiving dinner at our friends’ house last year, he prepared a lot of the meal, including turkey, sous vide style. When we arrived, he had a big cooler filled with bags of food and a circulator (his was a different brand). It was so cool, and everything was very good. This article may have pushed me into finally trying it for myself. Thanks so much! Glad to hear it, Erin! :) A sous vide Thanksgiving sounds pretty amazing! What adjustments do I need to make if I want to cook only a pound or two of beef? Hi, Doug! No adjustments necessary for this particular recipe — smaller portions will cook at the same time/temperature as the larger ones. Check the ChefStep’s Time and Temperature Guide for other cuts. Forgot to ask, I assume if I use a water bath type sous vide all the instructions still apply? I found out through the Chefsteps website how to sous vide with frozen food. I’m so thrilled to be able to do that!! Can’t wait to try this recipe. Everything I’ve cooked from your site has been great! Yes! I love being able to cook frozen food straight from the freezer! A friend of mine actually has her butcher season cuts of meat and vacuum seal them for her, and then she throws them straight into the freezer for quick meals. So smart! My wow moment was with boneless skinless chicken breast. Cooked 1 hour plus at 150. Delicious! Don’t know if it’s my imagination, but I find that I need to season the meat a little bit more than I usual. Also, suggestion for your sandwiches. Before you sear it the second time, be sure to patted dry first. Yes! Chicken breast is so great. Thanks for the tip on the sandwiches! I actually do that, but forgot to add a note to the recipe — will do so now! From my investigations into Sous-Vide cooking, the Joule model is not as highly recommended as others. 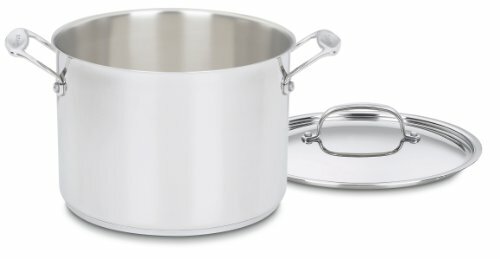 I would check Serious Eats (my personal favorite) or Cooks Illustrated before you decide on which model to buy. That aside, this was a very informative article about the advantages and limitations of Sous-Vide cooking. Thank You! Also, great French-Dip recipe! Does altitude make a difference in this cooking method? I am high & dry so I liked your idea about covering the pot to prevent evaporation, but wonder if altitude boiling temp makes any difference as it does in canning projects. Also, does this work for hot water bath canning? Hi Patti Ann, the temperature of the water when you sous vide never reaches anything close to boiling (212°F), so altitude shouldn’t make any difference. Also, because this is not a method for boiling water, I wouldn’t recommend it for hot water bath canning. Ditto what Elise said! The max temperature for the Joule is 208F (just under boiling), and I’m guessing it’s the same for other immersion circulators. Hooray! Let us know if you try it, or if there’s anything else you’re curious about with sous vide cooking! Thanks, Dawn! For the salmon, I believe I just followed the basic recipe on the ChefSteps app — 122F for 40 min, plus I added some olive oil and spices to the bag. I’ll have to double-check my notes when I’m back home. I do remember the albumen issue happening, but I think I was so amazed by the texture and flavor that I didn’t pay it much mind! I’ll do some more experimenting, and if I can find a solution, I’ll let you know. Or better yet, post a recipe! A simple salt and sugar solution such as 5 parts salt to 1 part sugar for 10 minutes will firm up your salmon and greatly reduce if not eliminate the white albumen, results in a better texture whatever cooking method you choose.This exact brine recipe can be found on ChefSteps website. Great tip! I’ll give it a try next time I do salmon. Thanks! Thank you, both! I will try this next time. I also agree that chicken breast sous-vide is outstanding. If I am making a chicken salad, sous-vide is really the only way to cook the breasts – so juicy and flavorful.